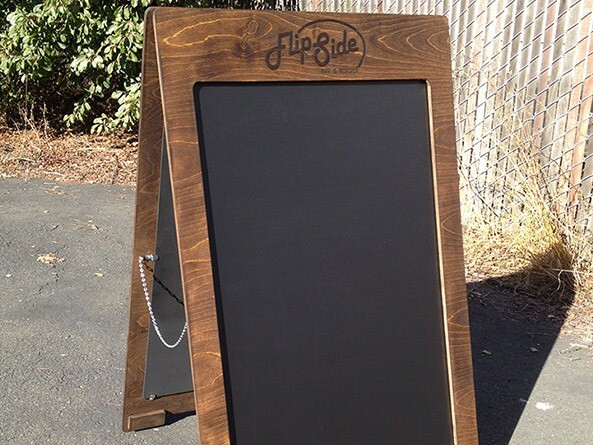 FlipSide - Sandwich Board Signs - Pure Black, Inc.
Flipside Bar and Burger needed some sidewalk sandwich boards to increase visibility. 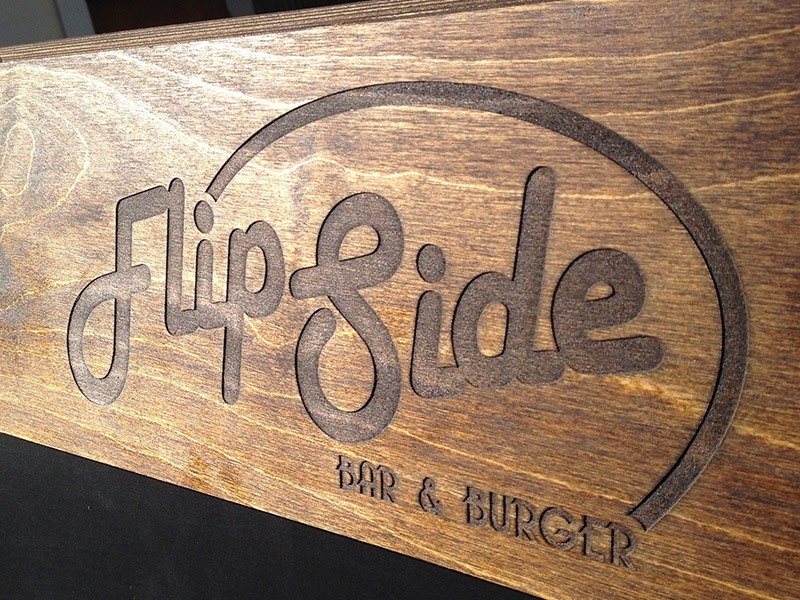 We CNC cut 1/2″ baltic birch, added a recessed chalkboard, laser engraved the logo and stained them. 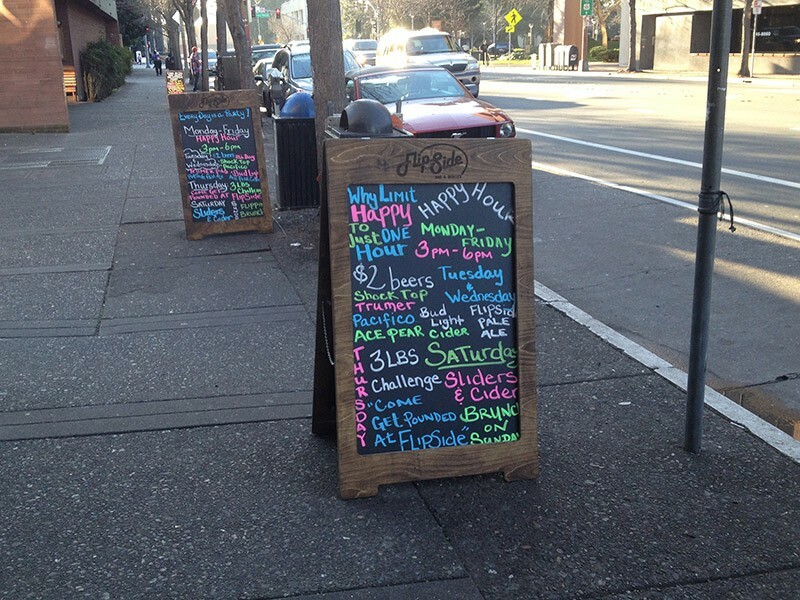 Came out pretty sharp if I do say so.